These back-to-basics Nest hoop earrings are an ideal accent piece. Their hammered texture evokes a sense of timeless, natural beauty while creating a dazzling interplay of light and shape. 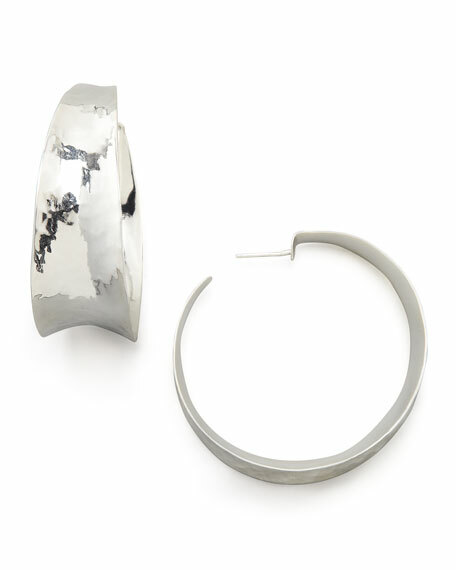 Hammered sterling silver plated hoops. For in-store inquiries, use sku #250009.